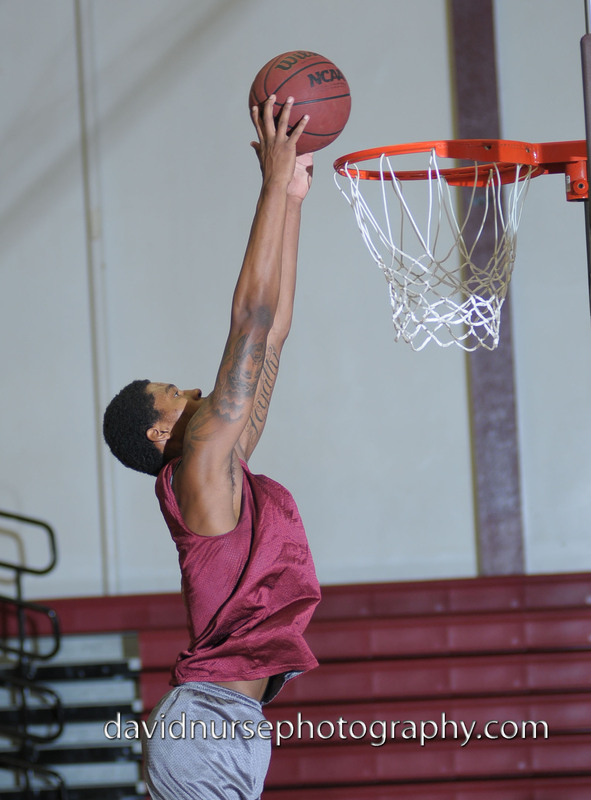 Larry Slaughter, 6’8″, 215 will tell you that he was disappointed with his freshman basketball year at AVC. He started for Antelope Valley College in the beginning of the year and then experienced several minor injuries that took him out of the line up. He never played his way back into the starting line up. His playing time decreased especially toward the end of the season as the “Final Four” Marauders cut back on their rotation. The new season can be Larry’s. He has to be a more confident and physical player. He must get stronger physically and mentally while using his length and speed to dominate opponents. One great advantage that Slaughter has is his academics. He has solid grades and is a dedicated student. If Larry Slaughter lives up to his potential this year, AVC could have be hanging up that State Championship banner next to this year’s Final Four. Slaughter had his best summer of his college career. He was named as on the all-star team of the Los Vegas JUCO Top 90 Showcase. He has been agressive around the basket pulling down rebounds and playing tough defense. He has been shoot the 3 ball consistently well and has been the playing the 3 guard position.